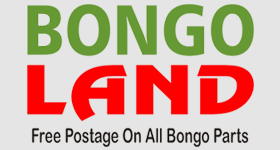 To celebrate 10 years since the formation of the Bongo Fury owners club, Sunday 24th February 2013 has been designated as National Bongo Day. What we have in mind is a series of events in various locations across the UK & Ireland where Bongonauts can get to meet each other and perhaps have a Sunday lunch. Well done folks Just a couple of questions...... who was 'hauling hogs' (I noticed Mulshy hauling 'Goat'....(well MountainGoat)), and where is 'Shakey town', is that another name for Inverkeithing? I know it's not in the spirit of a convoy to undertake on a roundabout... but you were in the wrong lane. What she doesn't know won't hurt me. The Gordon from the laird .hi been trying to watch your video but can't access it on fury or you tube keeps saying cant acces can you help me? Ha haab vid love that tune. Why, oh why did I chose such a naff forum name???? the laird wrote: The Gordon from the laird .hi been trying to watch your video but can't access it on fury or you tube keeps saying cant acces can you help me? Try ctrl key and left mouse key at the same time, Forth bridge tab should appear at the top of the page, works for me Gordon. "Today's rain is tomorrow's Whisky"
The Shaky Town - Comrie lies on the Highland Fault Line and earned its nickname after experiencing earth tremors as far back as the 16th century.